During my online wanderings, I am often underwhelmed by the sameness of so many sites. With the ubiquitousness of certain formats and templates, sometimes there’s very little visually distinguishing different companies. That is why, when I come across websites that inspire with landing pages that are distinctive and inventive, I take a moment to explore. And I must admit, just like those companies with especially enticing packaging or advertising, I make a mental note to try their product before those that don’t make such creative efforts. 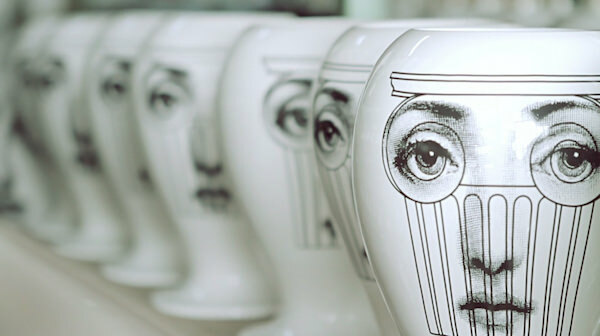 While many of you are familiar with the name and perhaps the products of Fornasetti, you may not have visited their incredibly imaginative site. Allow yourself some time because there is a lot to explore. You know you’re in for a treat when merely refreshing the opening page offers different takes on the theme each time. 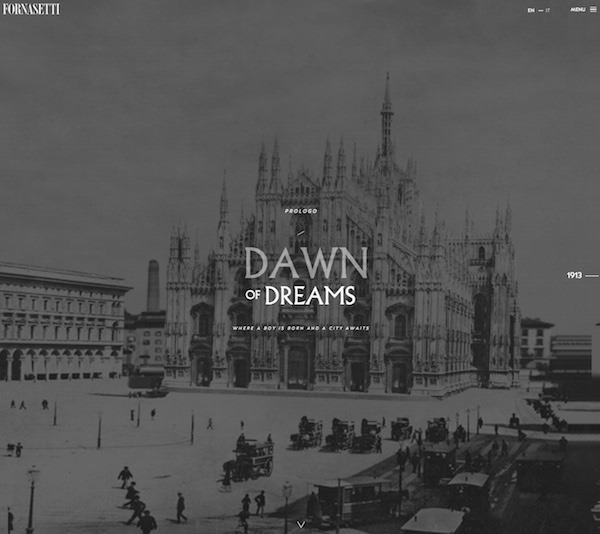 Take a “flight through wit and imagination” and experience the history of the brand. Be sure to click on the timeline on the right to learn more. Stop by the Atelier where you can vicariously visit ten fictional floors, each representing a different aspect of the brand. 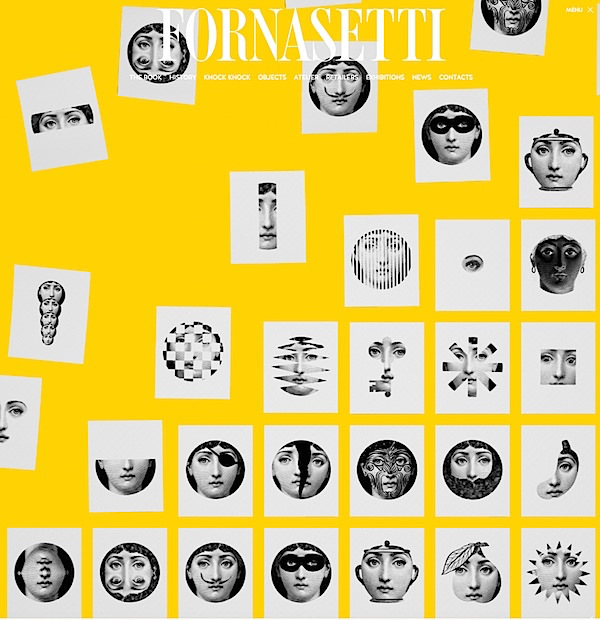 Watch videos and “explore the place where the magic happens.” Or click the “Knock knock” tab to take a surrealistic video tour through time Fornasetti style. Of course you can check out the wide variety of objets available, from furniture and ceramics to home fragrances and accessories, past and upcoming exhibitions and any news about the iconic brand. 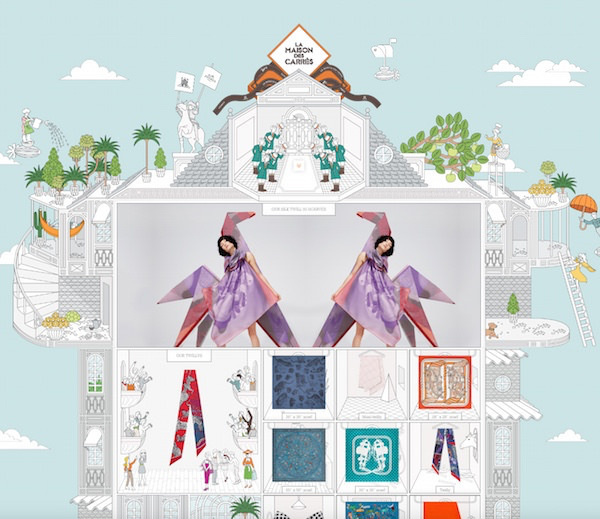 One of the first sites to fully embrace the charm of whimsical illustration, Hermès offers several paths you can take on their initial navigation page. You can easily shop for everything from scarves to table settings or you can also dive into the world of Hermès, where a plethora of tempting squares await your click. or see a short clip celebrating the Allegro saddle and the equestrian tradition of the brand. No matter the subject, I am always impressed by the beauty and artistry of their short pieces. A wonderful past favorite is Les Cannes. You can also visit the la Maison des Carrés to experience the know how, selections and world of Hermès’ famous scarves and accessories, all with a charming mix of photography and animated illustration. 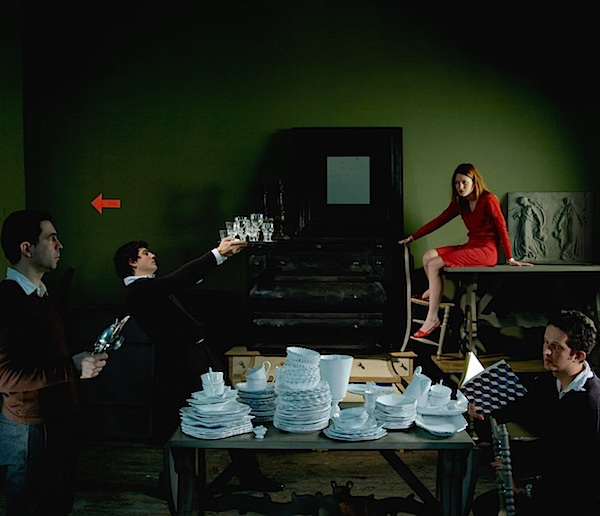 Another site with instant allure that I’m sure many have visited is that of Astier de Villatte. Click on the crystal ball and you can choose many categories illustrated by tarot type cards including the catalogue where a table of stacked dishes or tray of glasses magically float into space awaiting your eager click. Although not quite as extensive as the other two, their creativity deserves recognition. While you may not be able to judge a book by its cover, an appealing jacket can often be the reason for picking one up. And I know a creative and intriguing website will certainly arouse my curiosity to find out more about the brand. Let’s encourage innovative artistry by supporting websites that inspire whose brands make the experience more stimulating, entertaining and new! 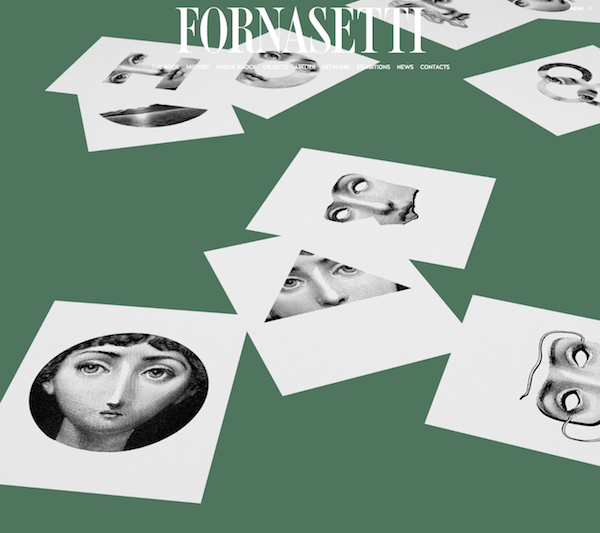 This entry posted in art, design, fashion, furniture, gifts, hermes, interior design, technology. 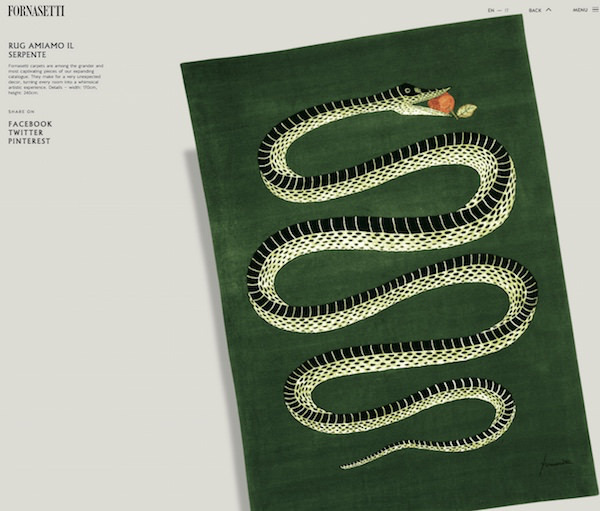 Entry Tags: Astier de Villatte, Fornasetti, hermes, websites Bookmark the permalink. I use the Hermes site, but the others were new. Thank you. I agree with you about the level of sameness. However, blog such as yours, which I read with interest do not let me down. 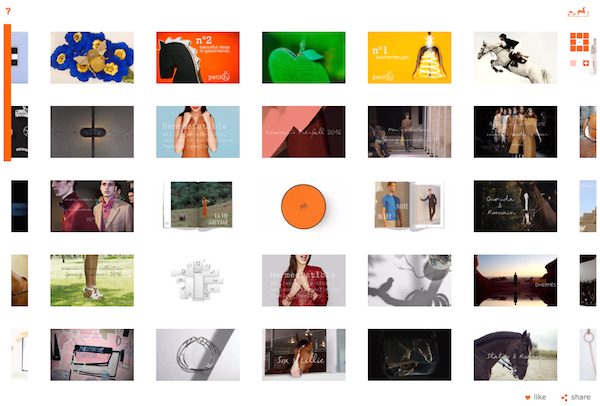 Daily you present images, ideas and a design ethic, which refreshes my vision and informs my style. Thank you. Oh my! Just the best…again!!!! The Hermes one….ones💕 Must watch them many times, first to read, then to see the items then to see how those women are dressed. Love love love!!!!! Thank you for sharing. A breath of fresh air, as always. Thank you for bringing new fresh visuals to your readers! I admit, I don’t have time to peruse all the wonderful places you can go on the web! As much as I love the visuals, I still go back to those sites that offer content, and words for thought rather than the pictoral content and more opportunities to BUY. What I love about your site is the beautifully curated outlook on what interests you. ALWAYS appreciate your findings and wanderings through a beautiful world. Thank you for opening my eyes to your opinion of style. As a designer, I spent a lot of time looking at other sites. I have to say I really like what you have done here, and I look forward to looking around your site. 83 queries in 0.675 seconds.